How electricity gets to your electric appliances and gadgetries is a process taken for granted. That is because it was designed to be convenient. We don’t think about why our coffee maker works unless it doesn’t, and it is only when the power doesn’t work that we truly appreciate how it changes our lives. Understanding the basics about how power works may not be on the top of your list of priorities. If something fails, you call your electrician. However, it is important to understand the basics of how everything works in your home. Awareness aids in detection when and if things go wrong. This doesn’t mean you need to try out DIY repairs for yourself. In fact, it isn’t recommended that you do any DIY electrical projects. Instead, know the basics, and rest assured knowing that you understand what makes the lights stay on so you can safely determine when things go wrong. Before electricity enters your home from power lines, it goes through a meter that detects how much power is being used by the home. Analog meters can be difficult to read, and “meter readers” stop by the exterior-mounted meter monthly to take readings of usage. They contain dials that spin in alternate directions, but they are being phased out by modern technology. Digital smart meters are the modern meter, and they convey real-time information to users and the power company. The future of meters is predicted to give consumers more control over their power usage, such as using alternative energy during peak hours to lessen costs and increase the integrity of the grid. You may not think much of your meter now, other than it aids in utility bill development, but in the future, you may use your meter as a budgeting tool. After the meter, you may have an external disconnect on the exterior of your home. It is typically inside of its own metal breaker box, and it has the ability to shut off all of the electrical input to your home. This is primarily a safety measure, and it is unlikely that you’ll ever use an external disconnect. This is typically used by firefighters to turn off the power of your home without having to go inside. Electricity then makes its way to your main breaker panel. This is the metal box/cabinet located typically in a closet or in the basement…out of sight. At the top the inside of your main breaker panel will be the main breaker. The number on this breaker tells you how much amperage your home can use. Older homes may only have a 100 amp main breaker, but the most common number is 200. The main breaker can trip if the home overloads, and it is a major safety feature in the electrical system of all homes. Beneath the main breaker but in the main breaker panel are the rest of the circuits to the home. These are usually 110-volt circuits but may be 220-volt if the appliance requires it (dryers, air conditioners, etc.). Circuit breakers also have safety switches and can trip when overloaded. Out of the circuit breakers comes the wiring for the home. There are usually three wires involved in the cables leaving the box: hot, neutral, and ground. There are different gauges available for the wiring, and it should be updated. If it isn’t, you may have aluminum or knob-and-tub wiring. If it is knob-and-tube, it must be upgraded. Aluminum wire must be inspected to make sure it is safe. The wires of your home go to outlets and fixtures (lights), of which there is a large variety. 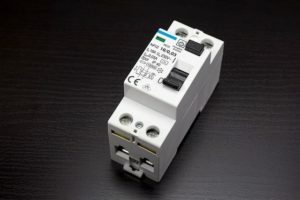 Ground-fault current interrupters (GFCIs) are installed around kitchens and bathrooms, and they will shut off when there is a ground-fault, which could cause otherwise cause electrocution. 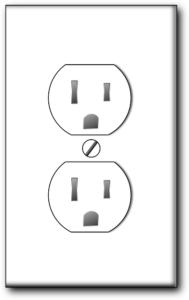 Standard outlets are also varied with newer versions offering USB outlets. Lastly, there may be a subpanel in your garage or by your electrical panel in order to prevent overloading your main circuit breaker. It allows for further subdividing of circuits and is often used when there is an additional building on a single property. Subpanels simply provide more options for power distribution, and they make things more efficient. Understanding your home electrical system is giving it the respect it deserves so that you won’t be complacent when it comes to maintenance. Most of the system works behind the scenes in unseen areas of the home, so it is easy to forget that it needs to be serviced, and it must be kept up. If you don’t know how your system works, at least at the most basic level, you may be reluctant to call in an electrician to service your panel. You may not notice exposed or frayed wires and the danger that they are. If you haven’t had an electrician in your home in the last decade, give one a call. They will inspect your home electrical system and make sure you are safe and secure.